Secret Mission was released in 1979. It is the third adventure game by Adventure International. 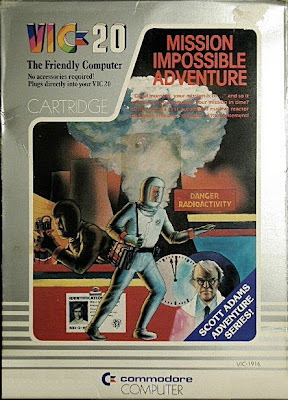 It was also known as Mission Impossible and Impossible Mission, but was changed due to copyright concerns since Adventure International couldn't secure the rights to make a computer game based on the television series. It was also released with static graphics as SAGA (Scott Adams Graphic Adventure) #3.